The highly-anticipated release of Rep. Devin Nunes’ memo, which claims to show the Department of Justice and FBI abusing their surveillance power, seemed more like a list of Republican talking points, experts said Friday. The memo did not alter the facts of the Russia investigation, they said, and it did not have any information indicating that law enforcement officials bypassed protocol at any point. 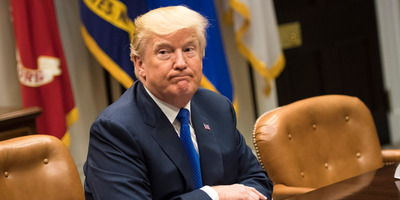 But the memo will still likely be weaponised by allies of President Donald Trump, many of whom have urged him to clean house at the DOJ and the FBI. The release on Friday of a highly controversial memo that claims surveillance abuse on the part of the FBI and the Department of Justice has Republicans and Democrats at each other’s throats. While Republicans say the document, which was compiled by embattled House Intelligence Committee chairman Devin Nunes, is clear evidence of partisan bias at the DOJ and the FBI, Democrats say it contains significant omissions and inaccuracies that mischaracterize the intelligence community’s work. But as far as its material claims go, the memo was underwhelming to legal experts and former intelligence officials. The Steele dossier, which was compiled by former British spy Christopher Steele and alleges several ties between Trump and Russia, was funded by the Hillary Clinton campaign and the Democratic National Committee via the law firm Perkins Coie, which retained the opposition research firm Fusion GPS to produce the dossier. Corroboration of the Steele dossier was in its “infancy” at the time of the initial FISA application to monitor Page. The Russia investigation was launched after early foreign-policy adviser George Papadopoulos told a top Australian diplomat that he had been offered kompromat on then Democratic candidate Hillary Clinton. The Steele dossier was originally funded by a group of Republicans who opposed Trump during the Republican primaries. After Trump became the party’s nominee, Hillary Clinton’s campaign and the Democratic National Committee hired the Perkins Coie law firm, which in turn retained the opposition-research firm Fusion GPS to fund the dossier’s production. Trump and his allies in Congress and in the media have pointed to those revelations to paint the dossier as “phony” and evidence of what they characterise as Hillary Clinton’s collusion with the FBI and the DOJ. While many of the dossier’s claims still remain uncorroborated, both the FBI and the Senate Intelligence Committee are using it as a “roadmap” to conduct their investigations into Russia’s election interference. Nunes’ memo also contained another section which observers immediately latched onto, because it undercut a main GOP talking point with respect to the Russia investigation. Specifically, that it was launched primarily based on the “Clinton made fakedossier” containing salacious and uncorroborated information meant to undermine the Trump presidency. The “Papadopoulos information” Nunes was referring to was an interaction the former aide had in May 2016, during which Papadopoulos is said to have boasted to a top Australian diplomat about Russia’s “kompromat” on Clinton while he was drinking at a swanky London bar. In July 2016, the anti-secrecy group WikiLeaks posted a trove of hacked emails from the DNC. Australian officials then informed their American counterparts of Papadopoulos’ conversation with the diplomat, Alexander Downer, which is what prompted the FBI to open its investigation, The New York Times reported last year. “So Nunes is indirectly admitting here that the Steele dossier was not, in fact, the factor that launched the Russia investigation,” Carle said. 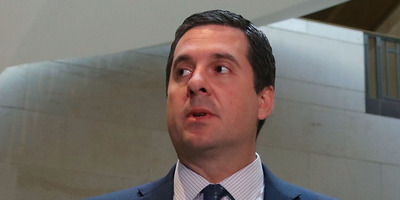 Nunes also went on to touch base on recent revelations that Mueller ousted an investigator on his team, Peter Strzok, after it emerged that Strzok was exchanging anti-Trump text messages with FBI lawyer Lisa Page, with whom he was reportedly having an extramarital affair. Moreover, experts said the fact that Ohr reported his conversations with Steele to the FBI undermines the claim that he was a partisan. Cramer also pointed out that Nunes, in making the argument that the FBI and the DOJ omitted critical information when applying for a FISA warrant to surveil Page, appeared himself to leave important information out of the memo. 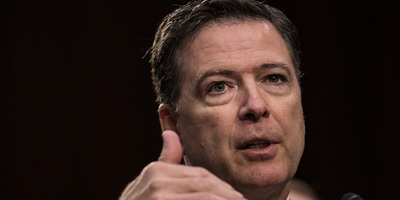 Drew Angerer/Getty ImagesFormer FBI Director James Comey testifies on Capitol Hill. Even so, it’s likely Trump and his allies will characterise the memo as proof that the two agencies are politically biased against the president and therefore require a change in top leadership. A White House official walked back Trump’s cryptic comment Friday night. The official said there had been no discussion or consideration about firing Rosenstein, Reuters and CNN reported. Carle expressed a more sobering view.